Here at Springfield PC PROS we see tons of computers that are suffering from a Malware Infection. If we had to guess, we would say that about 70% of the computers we come across for computer repair have some form of Malware on them. People think they have taken every precaution, yet things still seem to slip through. That is because the hackers that create Malware are getting better at creating Malware Infections that go unnoticed. The longer they can keep the infection in your computer, the more they have to gain. Of course, this list is not exhaustive but it serves as a baseline of symptoms that could indicate a Malware infection has made its way into your computer. If you think your computer could be infected, give us a call or shoot a message and we’ll be happy to help. Most of us have a favorite webpage set to open when we launch our internet browser, if this has recently change to something else, and you didn’t do it, that’s a sure sign that a Malware Infection has taken control. Same thing applies to what you use for a search engine, if you search for something and it was always Google that delivered your results, but now its something you’ve never heard of, that’s another sure sign. There’s tons of reasons why your computer would be running more slowly, most of the time it happens gradually but if you notice a sudden slowdown and things suddenly are taking longer than usual, it might be worth getting it checked out. There are numerous things that could cause this but if this is happening and you have other symptoms from this list, it's probably related to the infection. 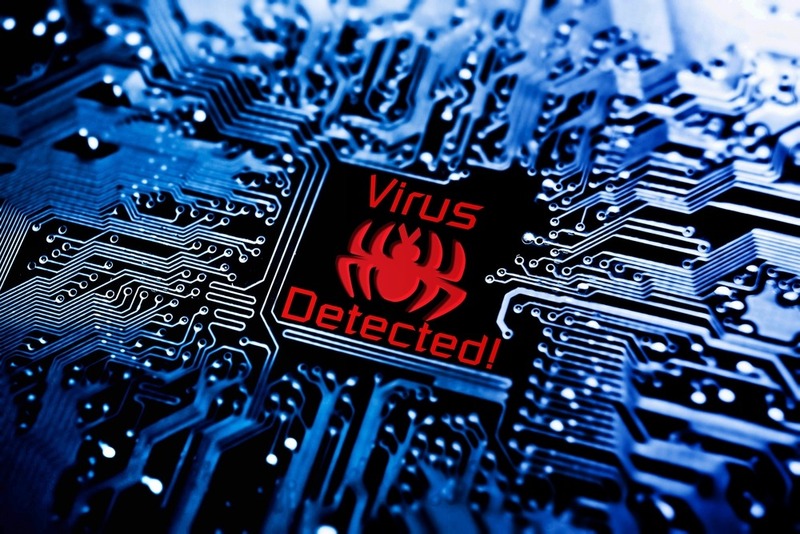 Believe it or not, there are numerous viruses and infections that are designed to shut down your antivirus program. What better way to stay undetected than killing the guard. You could have an infection in your computer that is capturing your passwords when you log in to websites. First thing that needs to be done is make sure your computer is clean, then its time to start changing passwords. Strange boxes popping up trying to sell you something, or worse, trying to scare you into calling a phone number, even when you’re not surfing the internet. This is something that is a sure sign of an infection. This could be a sign of other issues but if you are just doing some basic stuff and your hard drive light is rock solid, or your CPU usage is pegged, you could have an infection that is cranking away doing all the nasty stuff that viruses do. Think of it like a fever for your computer. Out of nowhere it feels like your internet has really taken a hit on the speed, or you get notices about hitting your data cap, and there are no other obvious factors, it's time to check to make sure you’re not infected. If you read through this list and thought to yourself, “That’s happening to me”, then don’t worry, a PRO has you covered. Just give us a call, we’ll pick up your computer, get rid of the nasty little buggers, and have it back to you in 72 hours or less. Also, we have Remote Support options available to get you fixed up even faster! Do you think your computer might be infected? Get help now.